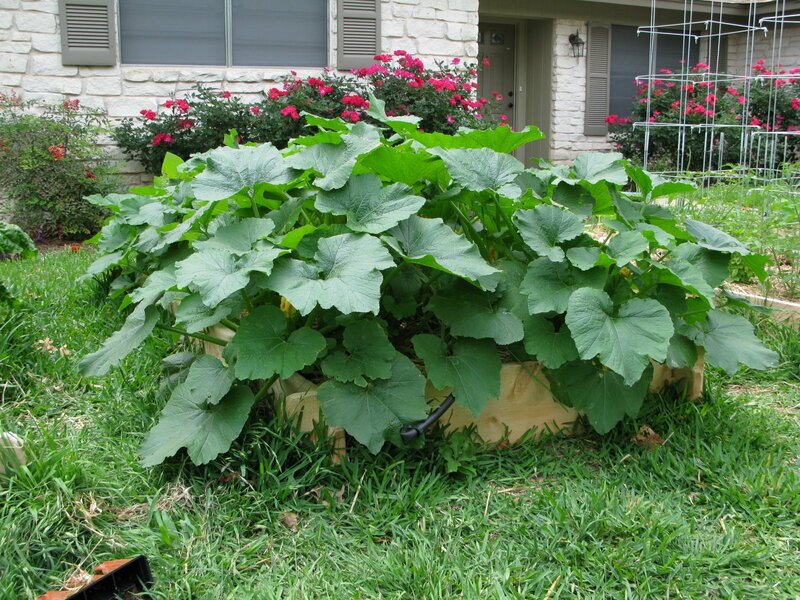 I’ve heard that zucchini grows like crazy, but I really had no idea. I don’t think you can understand until you witness it yourself. 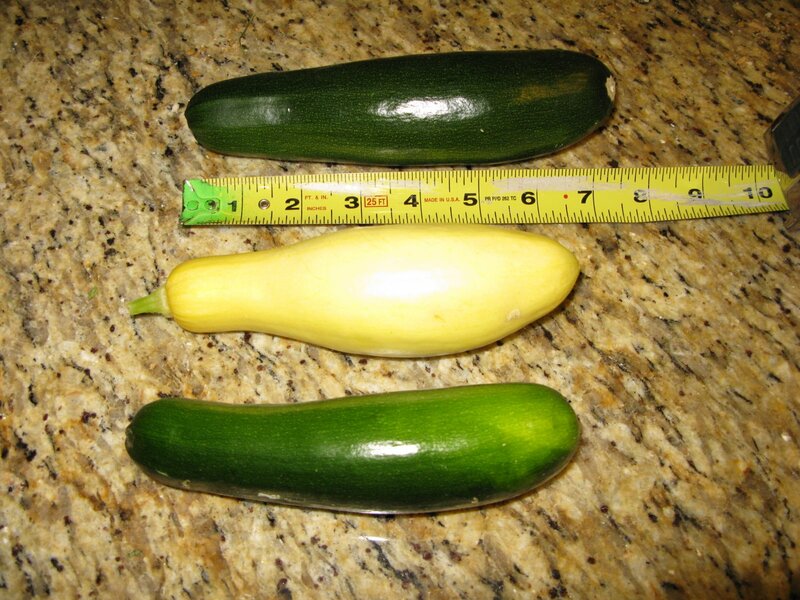 I’ve been checking the squash plants every morning and everything looks fine, then I check again in the evening and the each zucchini is twice the size and suddenly there are huge ones that I swear weren’t there that morning. Needless to say, our friends should be well stocked with zucchini this year. 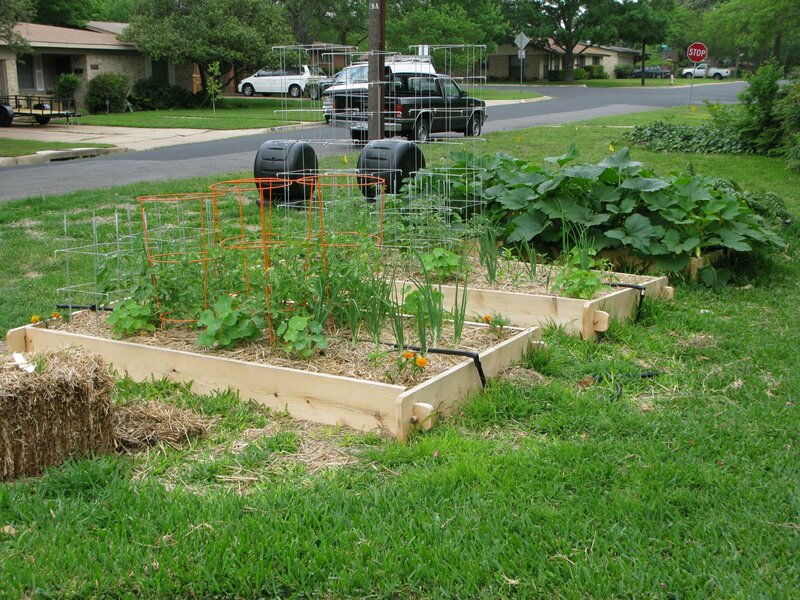 The rest of the garden is also doing well. The peppers have finally taken off. I really think it was just to cold for them. I don’t have peppers yet, but the plants have doubled in size this last week and I can see the makings of blooms. 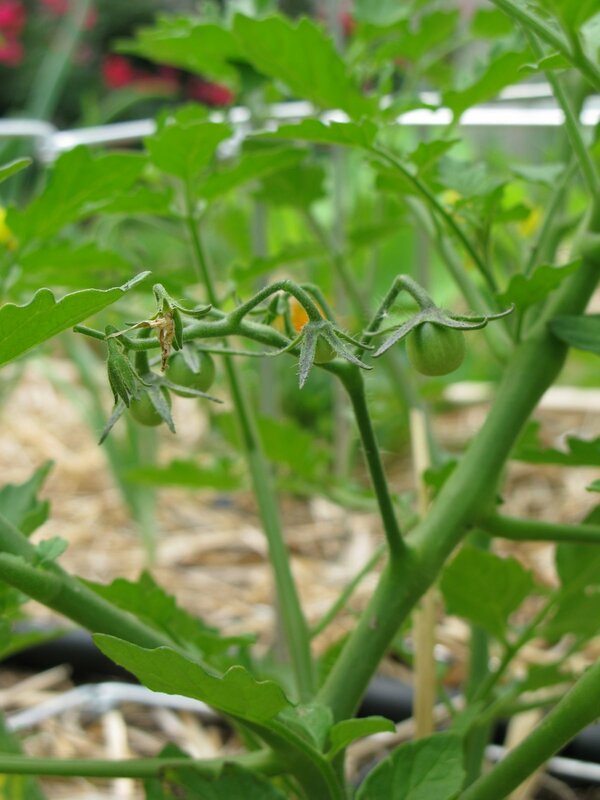 The first tomatoes appeared this week as well, sun gold variety. The rest of the tomato plants all have blooms, so things are moving along nicely. I spent some time looking through the garden and found aphids on many of the pepper leaves. The ants had already beat me to them and were chomping away. I was able to smash and brush away the rest of them. Hopefully, this doesn’t turn into a bigger problem. I’m glad I spotted them early. 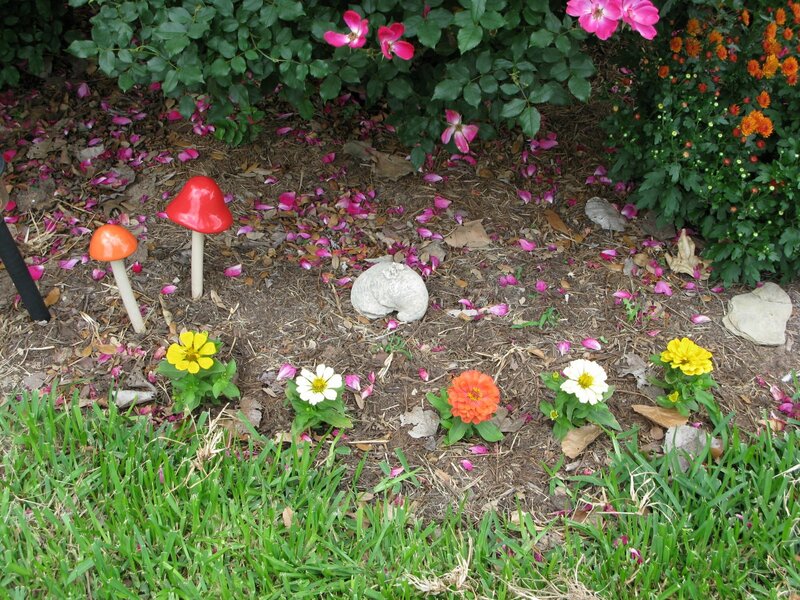 I also replanted zinnias. I planted them several weeks ago, but that late cold spell took them out. The new ones are much prettier anyway. >Ooh, I’m jealous of your squash! 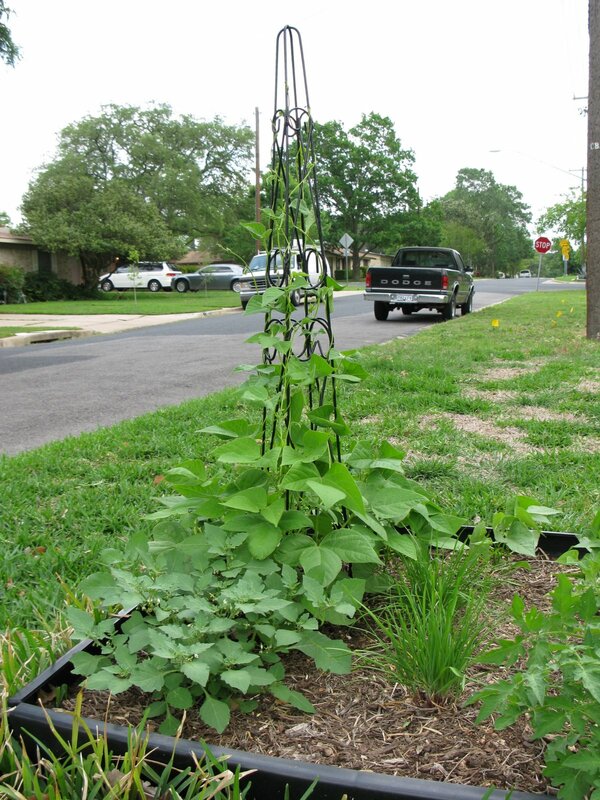 How early did you plant them? Mine are only two inches long. I tried knocking the aphids off my peppers (and mint) with a garden hose, but I ended up buying ladybugs to finish the job right. It took them less than a day to get rid of all the aphids in my entire yard before moving on to a lucky neighbor’s. >I tried ladybugs last year, but within 24 hours they had all flown away. I may try though, if things get worse. Last year the squirrels got a few tomatoes, but it wasn’t too bad.I definitely don’t have any trick for keeping them away. I guess I just try and plant enough to share 🙂 Caroline – if the zucchini squash are two inches long then you’ll be ready to eat them in a day or two. I’ve read they’re extremely tasty when they’re cigar size. I planted the squash from seed back in February and moved them outside in mid march. >I, too, am jealous! I see zucchini bread in your future! 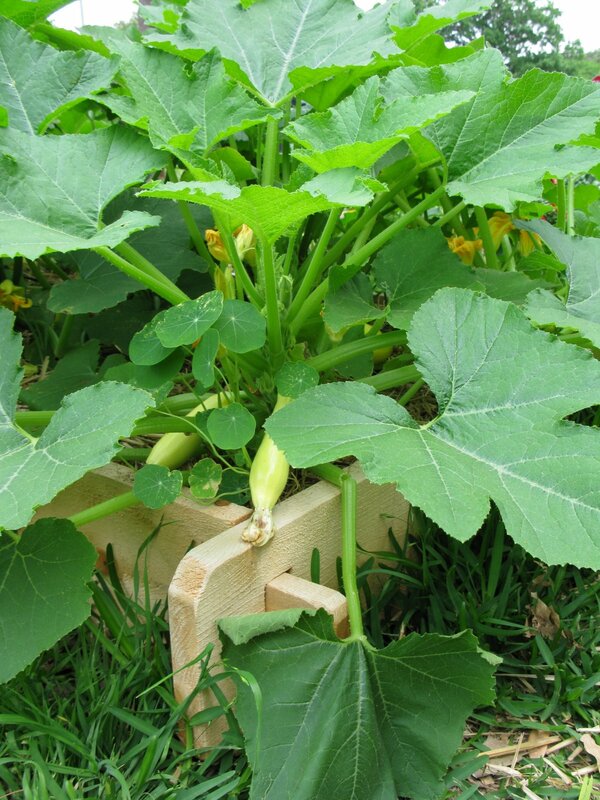 My squash plants are doing well and growing like crazy but my zukes haven’t taken off yet … in fact they look kind of sickly. I’ve been having trouble with aphids on an avocado tree and then … presto – it was colonized by ladybugs and the problem is starting to come under control. I was lucky and mine happened naturally. I’ve heard if you release ladybugs you need to spray sugar water where you’re going to release them, do it at night, and do it near/on an existing aphid colony. If you do it in the day or where they have nothing to eat – they’ll just fly away! >Thanks that’s a good tip with the sugar water. I’ll have to give that a try. This morning I was out checking the aphids again and found a ladybug larvae. They eat significantly more than the ladybugs. I love when mother nature takes care of things herself! >I have a tiny little squash plant that looks like it’s just thinking about hitting it’s stride–Yesterday there were only 3 leaves on it, and today there are like 5.The pepper plants are all still stunted though–to be fair, one was goobered by the hail a few weeks ago. But I’m going with the “it’s too cold” theory right now as well. 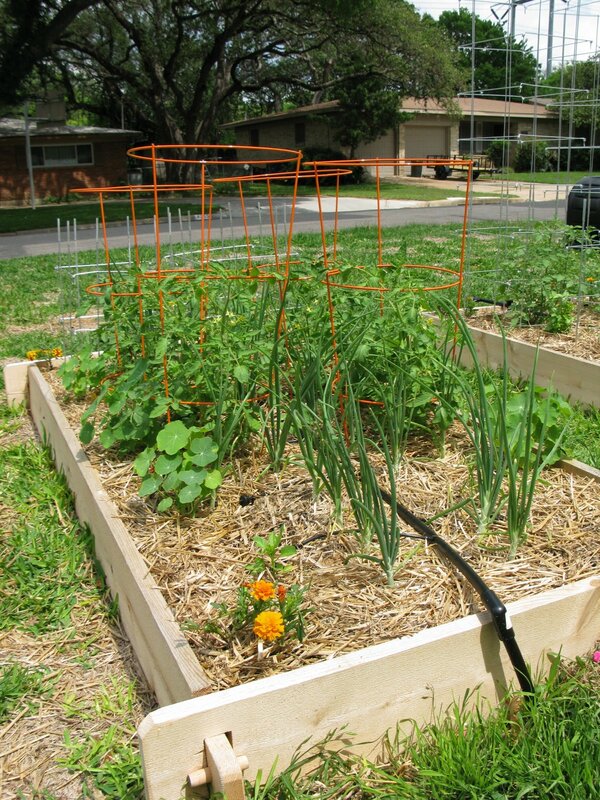 >Hi Laura.Wow, your vegetable patch is looking really good, really cool you have this in your front yard! !I also tried the ladybug thing, but like you, within a day they had moved on. Someone needs to design a teeny-tiny wing clipping device for ladybugs! Interesting on the sugar water FitsandStarts(K). 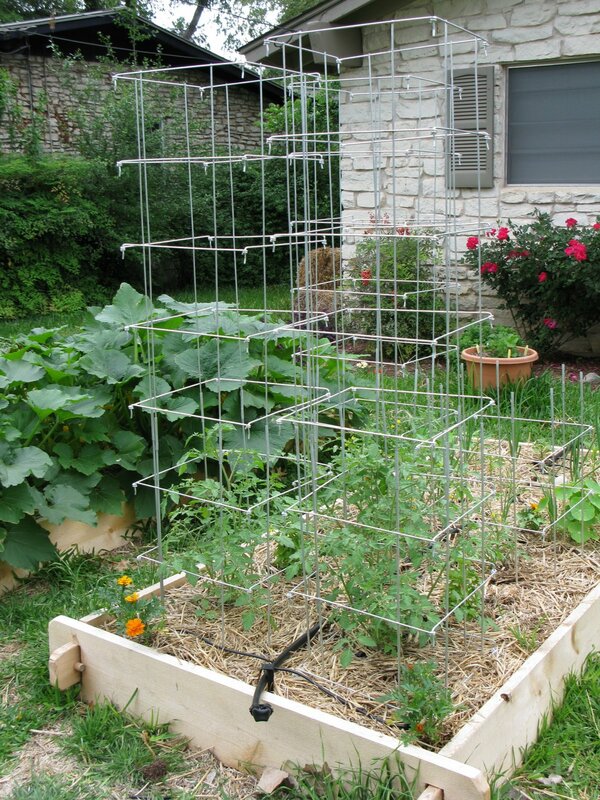 I will try this next time.Enjoy your garden bounty, Laura.ESP.